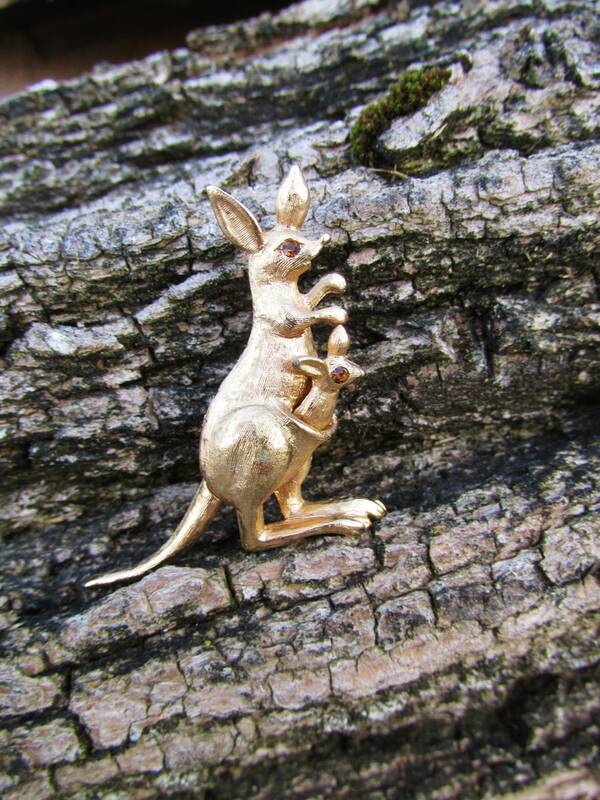 This sweet vintage gold tone kangaroo brooch has a surprise-- move mama's tail and joey wiggles in her pouch! 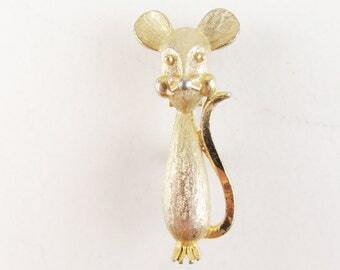 The adorable duo is made from a textured gold tone metal and adorned with amber colored rhinestones for eyes. 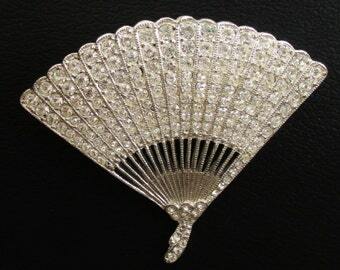 The backside of the brooch is marked Avon and features a rollover safety clasp. 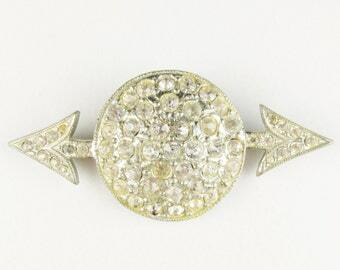 Pin hinge and clasp are in good working order but there is some minor wear/tarnish to the gold tone finish on both the front and back of the brooch. 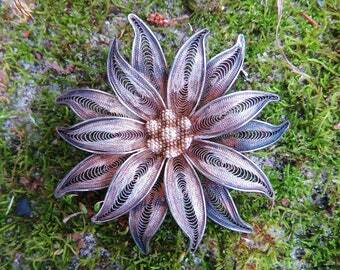 Brooch measures approximately 1 3/4" long and about 1 1/2" across widest point. 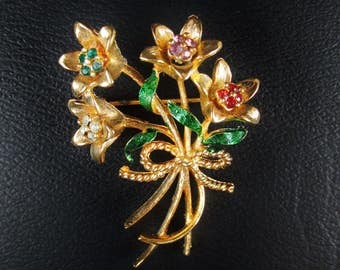 Brooch will arrive nestled in a vintage Avon box, as pictured. 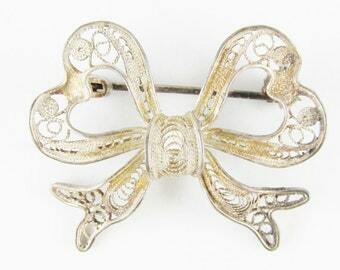 What a wonderful gift this would make for a new mom or expectant parent! 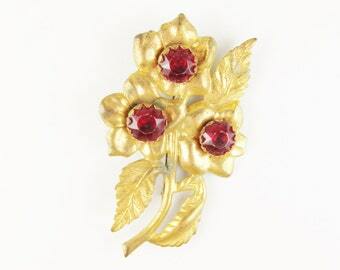 Stop by our Instagram page, @fairsailsvintage, to see this articulated brooch in action.